Keep your sunglasses safely stowed where you'll always be able to find them!! The jumbo clip attaches instantly to your car's sun visor. 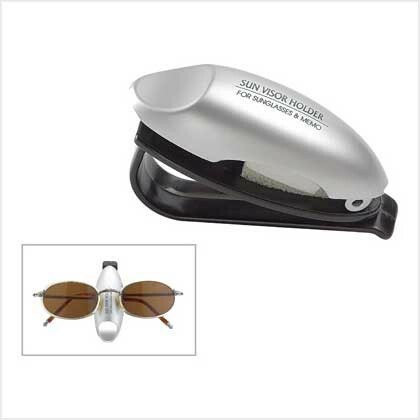 Simply slip your shades into the secure snap-close holder for effortless hands-free storage. Visor clip doubles as a memo organizer. 1" x 3"